How awesome would it be to teach with a fearless belief in your own abilities? How do Pilate’s teachers develop the courage to believe and trust their own ideas? This is certainly a journey. And it’s one I’ve been on for nearly 40 years of teaching movement. My Pilates teaching workshops have always explored this journey although the names have changed over the years. My first workshop, more than 10 years ago, was called “Seeing the Truth in Movement.” This eventually evolved into “Accessing Your Wisdom,” and finally to “Becoming an Intuitive.” All of these ideas develop your courage, so in this 6 hour workshop we will discuss that journey to understanding what is truthful, wise, right movement, and how do you, as a teacher, awaken your intuitive abilities to know and trust the answer as YOU believe it to be true? .We’ll begin with an anatomy discussion of what constitutes our center/core/powerhouse to better help us understand what we truly mean by these terms. This will include the abdominals, psoas, pelvic floor and diaphragm. Then we will explore how all these muscles work together in natural harmony through breathing correctly. This is how to create truly integrated whole-body movement. Then we will look at Pilates exercises to discover the deep power of their design to organize and unite the body into a single moving animal through breathing and moving from our center. Amy Taylor Alpers was born in Youngstown, Ohio. She began classical ballet in her childhood, studied dance in college, danced professionally and later taught ballet. Amy attended The Juilliard School for Dance, danced with the Garden State Ballet in New Jersey, and received a B.A. in Dance and a M.A. in Dance History from New York University. In addition, Amy taught ballet at various dance schools in New York City for ten years. Both Amy and her sister Rachel studied Pilates under the direct tutelage of Romana Kryzanowska at The Pilates Studio. They received their Pilates teaching certificate in July of 1989. 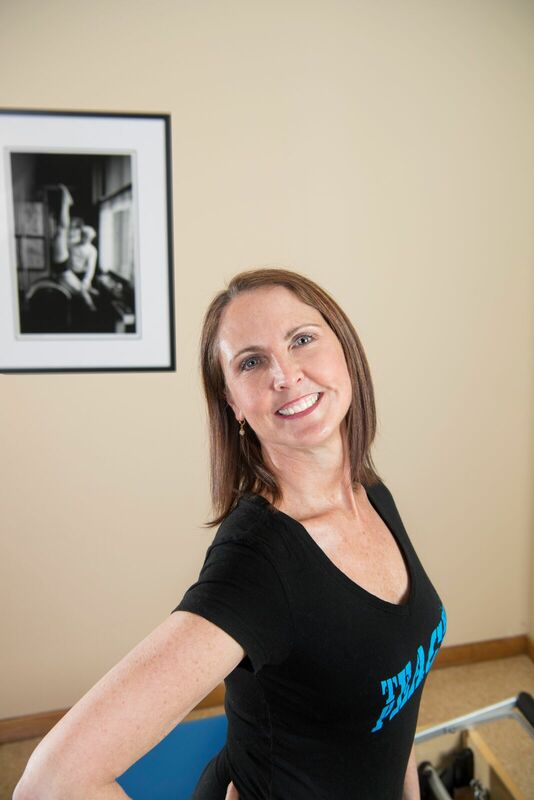 In 1990, after moving to Boulder, Colorado, Amy and Rachel opened The Pilates Center. The sisters established The Pilates Center Teacher Training Program in 1991. Since the mid-nineties, Amy has traveled the world teaching graduate level continuing education workshops. The sisters co-authored The Everything Pilates Book, are active in the Pilates Method Alliance (PMA) and assisted in creating the PMA’s certification exam.